I have been asked this many times since founding Boat and Yacht Masters of Florida and in the beginning I struggled with a response that adequately and effectively described what I do. But, several weeks ago I was reminded what I do for my clients....I protect the investment a client has made in the purchase of their boat. YOUR BOAT IS AN INVESTMENT! Modern day boats, whether sail or power can contain many stand alone systems that work together to make your boating experience a success. Some of these systems are the main engines, generators, battery chargers, waste-management systems, galvanic isolators, water makers, climate control systems, and of course appliances that you can find in your home. Maintaining and managing all of these systems can be a daunting task for boat owners. "I protect the investment a client has made in the purchase of their boat." Boat and Yacht Masters of Florida can design unique management plans that provide you with the peace of mind that your investment is protected and that your boat is ready for use at all times. By performing a regularly scheduled weekly or monthly maintenance program of cleaning and detailing, system/engine checks and diving services, your boat will be kept in pristine condition. 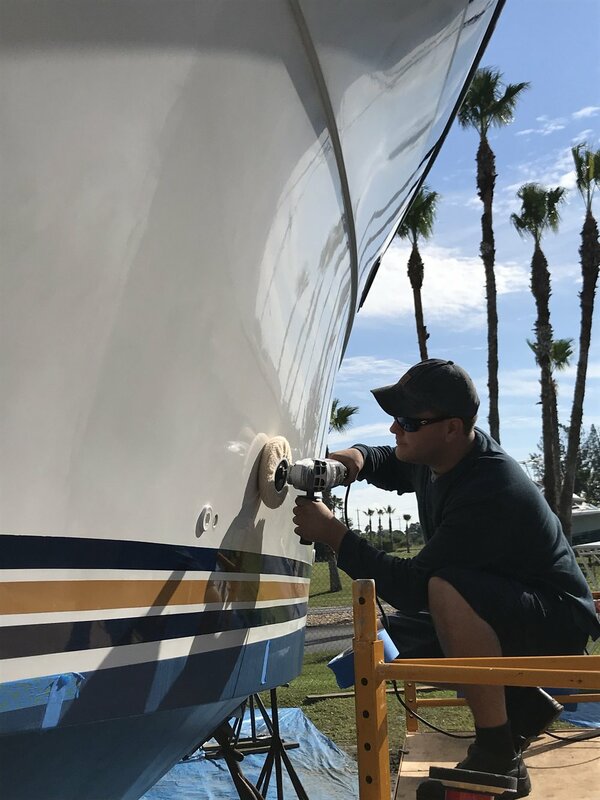 Boat and Yacht Masters of Florida firmly believes that all of our boats are a reflection of the company, and that’s only one of the reasons we produce an exceptionally high level of cleanliness and repair quality, customized to fit your needs and budget. Our Absentee Owners Plan provides our clients who do not live in the vicinity of their boat with absolutely hassle-free boat ownership; saving time, money, and stress. Our customers have come to appreciate our skills and to recognize our professionalism. Founded on Integrity. Built on Trust. Oh No! Not The Bow Thruster! Did Your Boat Survive Hurricane Irma?